Self-directed IRAs can provide you with significant tax advantages as well as allow you access to a wide range of alternative investments. Once you establish a self-directed IRA, you can begin making contributions for the 2016 tax year- up until the Federal tax deadline of April 18, 2017. 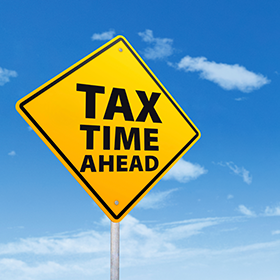 There are two types of IRAs a tax payer can choose to contribute to in a tax year. The amount of contribution made to either or both will depend on the tax payer’s eligibility to contribute to the IRA. Tax benefits are subsequently available to the contributor based on their unique situation. Let’s start with the Traditional IRA. Historically, Traditional Self-Directed IRAs offer account owners the opportunity to deduct annual contributions from their taxable income. Contributions can then be put toward alternative investments, such as real estate or precious metals. The earnings will accumulate on a tax-deferred basis, with the IRA funds being taxed upon distribution. In the case of a Self-Directed Roth IRA, contributions are taken from taxed income, and are therefore not tax deductible. However, with this option, all earnings on investments held within the account not only grow tax-deferred, but can be distributed tax-free once the individual satisfies certain conditions. Before you move forward, you should first be sure that you are eligible for a self-directed IRA. 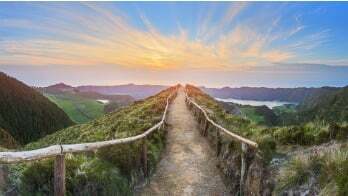 There are several types of these self-directed, tax-advantaged savings plans, and you may qualify for some of the plans, but not for others. IRS Publication 590 and IRS Publication 560 will explain eligibility in comprehensive detail. As you look through the different plans and their requirements, you can get a better sense of which of these accounts is best for you. Traditional IRAs and Roth IRAs are two individual retirement accounts which individuals can use to save for retirement. Along with these individual accounts, persons who work for employers that have established employer sponsored plans (such as 401(k), SEP or SIMPLE plans) may also participate in these types of plans through their employer. For small business owners, along with contributing to their IRAs, they may also establish and take advantage of the SEP IRA, SIMPLE IRA or Individual 401(k) plans for their small business. Employers may establish these types of plans as well as an additional means of saving for retirement. Along with the tax deferment of earning on their employer contributions, the contributions may also be used as a tax deduction.